Good news re a designated police beat team again. To read previous blogs, visit the Stapleford cluster page. Well, since my last blog, the leaves have started to fall and Autumn appears underway – albeit with a welcome return of the sunshine this week. It really does seem that this year is flying past really quickly – how many sleeps ’til Santa?! Since I last wrote, a number of things have happened in the makeup of my teams at Broxtowe – at both Beeston and Eastwood. Before I share those with you though, I thought it would be good to share with you some of the successes we have had. Throughout the summer we have faced unprecedented levels of demand which has proven to be a huge challenge as we try and address some of the longer term issues on the borough. Nevertheless, my teams have risen to the challenge throughout the summer period and I’d like to go on public record with my thanks and sheer gratitude for the huge effort they have made over the exceptionally busy summer period. I would also like to pay tribute to Pc Anne Bloomfield and PC David Hikin, who were violently assaulted just simply ‘doing their job,’ by Lee Wright in Eastwood, back in July. Both suffered significant injuries and trauma, Anne in particular who suffered a fractured skull after being struck with a champagne bottle. This is a stark reminder of the dangers faced by police officers and was an utterly reprehensible attack on 2 public servants. Fortunately, Wright is now serving a prison sentence and the officers are both on the route to recovery. I am sure you would wish to join me in sending them our very best wishes and thanks. A number of key crime areas have reduced against the average for that crime type over the summer. Burglary, Sexual offences, Criminal Damage and Vehicle Crime have all been moving in the right direction over the summer and all have reduced consistently over a period of weeks. Burglary remains a focus and work is ongoing, following some key interventions and arrests made which I have mentioned in previous blogs. This area of criminality is always at the forefront of my plans and work is tasked regularly to ensure that we identify those who we think may be committing these offences and ensuring that they get scant opportunity to continue with their criminal behaviour. Anti-social behaviour also continues to be lower than the expected norm for the time of year. The problems I highlighted in Chilwell last month appear to have subsided. We have placed Antisocial Behaviour Contracts on a number of youths, some of whom have been referred to the Youth Offending Team and parents have received warnings regarding their tenancy agreements should their children continue to behave in an abhorrent manner. I have no qualms about holding parents responsible for the behaviour of their kids and will continue to use such measures in future where necessary. We have also of course, seen significant disruption caused in some communities by unauthorised encampments through the late summer and into the Autumn Indeed as I write, there is another recently-established encampment on Bramcote Hills Park. The Policing and removal of such encampments presents a number of challenges to ourselves and our partners in the local authority. There are a number of legal anomalies and complexities which make the eviction of traveller encampments less straightforward than it may appear to the casual observer, but rest assured, we will continue to work together to get the unauthorised encampments moved on as quickly as possible and the disruption they cause, kept to a minimum. I recently attended a public meeting at Stapleford called after the encampment on Ilkeston Road Recreation Ground in August. This was a good opportunity for me to speak to a number of local residents about these issues and also try to explain some of the challenges faced by the police and the local authority. In addition to this, today I met with Anna Soubry MP, Ruth Hyde the Chief Executive of the borough council and borough council leads this week in order to see what learning we can all take from these experiences. A number of changes have occurred in the last few weeks. Firstly, we have said goodbye to Sgt Deb Regan, my neighbourhoods Sgt at Beeston. Deb has moved on to a new role in the custody suite at Mansfield. I’m sure you would all join me in thanking Deb for her dedicated service on the borough and wish her well in her new role. The flip side of that is that it gives me great pleasure to welcome Sgt Heather Harding as Deb’s replacement. Heather has joined us from this week and I am sure she will be a huge success in the role – she brings recent experience as a beat manager on City Division into the role and is a welcome addition to the team. Also leaving us is Sgt Gary Cook, one of the response sergeants based on the borough. Like Deb, he is transferring to the custody suite in a change of direction in his career. Gary goes with our best wishes and thanks. 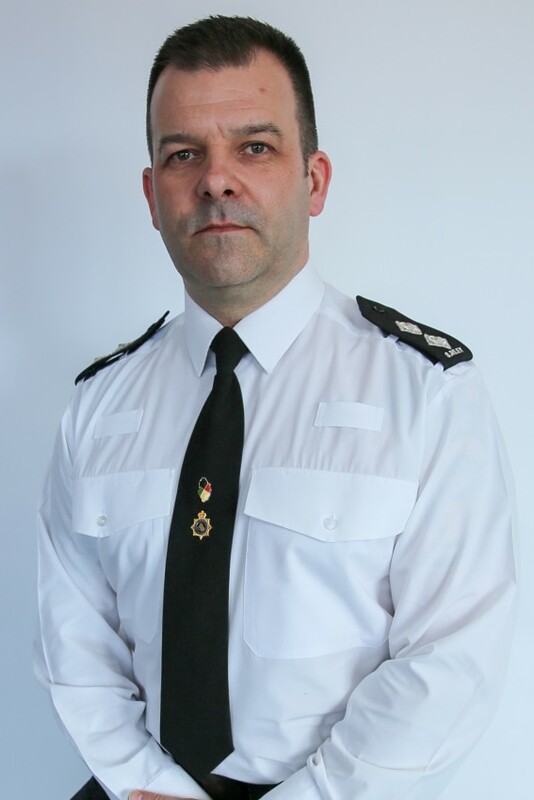 He has been replaced by Sgt Matt Dumbrell, a highly experienced detective who will no doubt bring a huge amount of investigative experience to the fore. We also waved goodbye to PC Hannah Ward, who has gone on to a new role in the police unit at HMP Nottingham. Hannah’s knowledge of Stapleford will be missed, but I’m sure she will be a great success in her new role and we wish her all the best in it. She has been replaced by Pc Barry Winter who has joined us from the one of our local response teams. We have also welcomed PCSO Gaby Slaney onto the team at Eastwood. Gaby has recently joined the organisation but is settling into her new role and I’m sure it won’t be long before she becomes a familiar face on the streets of Eastwood. If you see her, please say hello and make her feel welcome! Following feedback from partners, communities and the teams themselves, I have made the decision to re-align beat managers and PCSOs to individual areas Ownership of problems on areas will be made much simpler and each of the 6 areas will now have a ‘go to’ team for their local issues once more. There will be times, however, when they are regularly asked to cover other areas where resourcing levels dictate that as a necessity, or where I need to deploy additional staff into an area to tackle a particular issue.